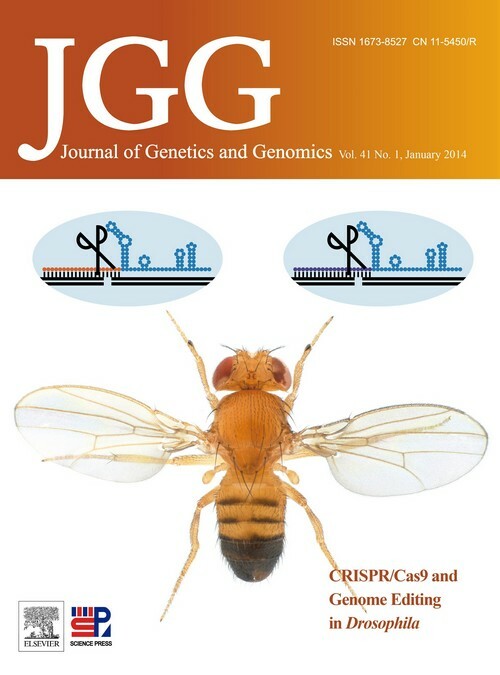 Founded in 1974, JGG is a monthly, peer-reviewed international journal of genetics. The journal is a leading national academic periodical and one of the Chinese key periodicals of natural sciences. JGG has served as an important medium for geneticists from China and other countries to communicate research results and discuss challenging scientific questions in the broad field of genetics. Website of JGG is: www.jgenetgenomics.org . JGG covers all areas of genetics and genomics and encompasses experimental and theoretical approaches in all organisms, including Arabidopsis, rice, mouse, fly, nematode and yeast. Research published in JGG should be of general interest for biologists. JGG also publishes invited review articles of wide interest. JGG publishes papers in English only and distributed internationally. Currently, JGG is indexed by several well-known domestic and international indexing systems, such as Science Citation Index Expanded (SCI-E), American Chemical Digest (CA), BIOSIS database, Biological Digest (BA), Medical Index (MED) and Russian Digest (AJ).